Mindfulness, meditation, prayer, yoga, and receiving my PhD in Metaphysics, in Holistic Life Counseling has really broaden my mind and healed my body on so many levels. I truly feel freeing myself from the idea of what I was expected to be and do in my life has expanded my mind. Experiencing the pain of letting go of these attachments to material things, people, objects, expectations, societal norms, and keeping up with my friends has brought me to a place of being more grounded, centered, enlightened, observing and learning more about who I am and what works best for me. As a result I feel much more at peace with myself, life, God, the universe, and my loved ones. We are all connected to an intelligence beyond us. There is a consciousness out there that we can tap into bringing us higher levels of understanding, knowledge, and wisdom. The chakra system contains universal spiritual life lessons that we must learn as we evolve into higher states of consciousness. 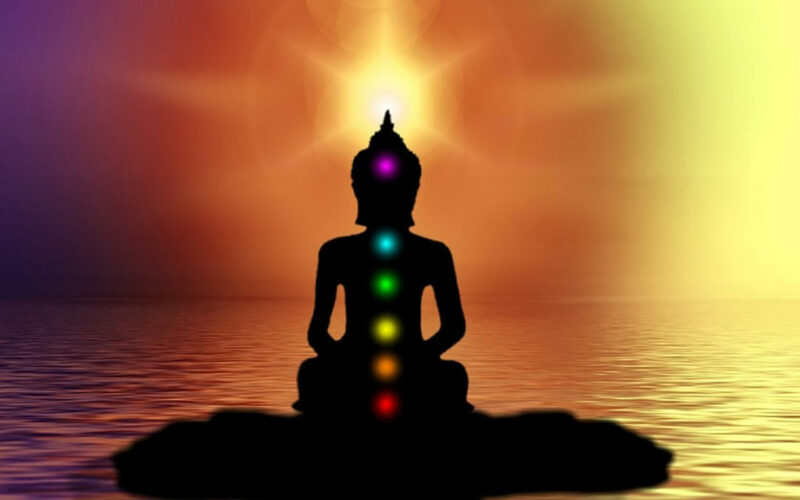 The chakras are an archetype depiction of individual maturation through seven distinct stages. They are vertically aligned, running from the base of the spine through the crown of the head, suggesting that we ascend toward the divine by gradually mastering the seductive pull of the physical world. Utilizing these practices helps lead people on a path to creativity, evolution, person growth, self enlightenment, and detachment of worldly ways of being. Learning about yourself and who you are is the best gift anyone can give you. We have the ability to incorporate meditation, prayer, and the use of yoga as an avenue for self discovery. It is truly a gift one that you don’t have to pay for and the benefits are so healing and life transforming. Root Chakra: Represents our foundation and feeling of being grounded. Location: Base of spine in tailbone area.Emotional issues: Survival issues such as financial independence, money, and food. Sacral Chakra: Our connection and ability to accept others and new experiences.Location: Lower abdomen, about 2 inches below the navel and 2 inches in. Emotional issues: Sense of abundance, well-being, pleasure, sexuality. Solar Plexus Chakra: Our ability to be confident and in-control of our lives. Location: Upper abdomen in the stomach area. Emotional issues: Self-worth, self-confidence, self-esteem. Throat Chakra- Our ability to communicate Location: Throat.Emotional issues: Communication, self-expression of feelings, the truth. Third Eye Chakra- Our ability to focus on and see the big picture. Location: Forehead between the eyes. (Also called the Brow Chakra) Emotional issues: Intuition, imagination, wisdom, ability to think and make decisions. Crown Chakra – The highest Chakra represents our ability to be fully connected spiritually. Location: The very top of the head. Emotional issues: Inner and outer beauty, our connection to spirituality, pure bliss.